One of the Dominican Republic's relatively unexplored destinations, the small and charming village of Juan Dolio is located on the island's southern coastline where soft, white sands meet calm, turquoise waters. Boasting tranquil beaches, the waterfront in Juan Dolio has a natural appeal with coconut palms lining the shoreline and sweeping coastal views. 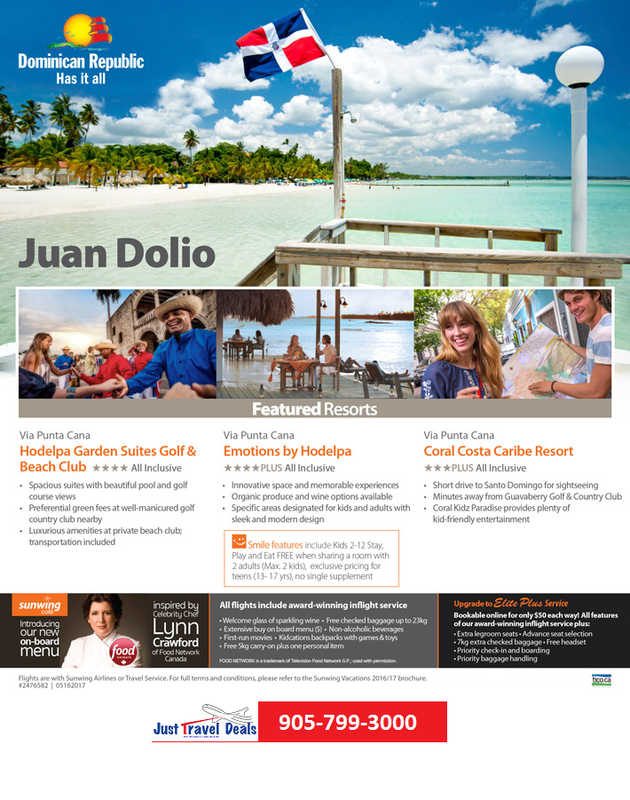 Juan Dolio vacations offer travellers a laid-back ambiance that is hard to replicate. Popular cities like Santo Domingo and La Romana make for great day-trips from the village, while an 18-hole golf-course is located nearby. For those looking to avoid city hustle and bustle all together, the easiest way to unwind is just to sit back in the sand and drink in the views. Thanks to an extensive reef off the shoreline, the large waves that round the coast become gentle splashes by the time they approach the sand; making the beaches ideal for families. The reef also attracts a variety of marine life. So don't forget to pack your mask and flippers-Juan Dolio offers some excellent snorkelling opportunities. Quiet, scenic, and friendly, Juan Dolio holidays promise a relaxing beachside escape with minimal distractions. This is the place to be for travellers who want to find a sunny spot, float in the gentle waves, and listen to the sound of the sea rather than dance the night away. Book your Juan Dolio vacation package with Sunwing to experience a getaway in this serene destination.